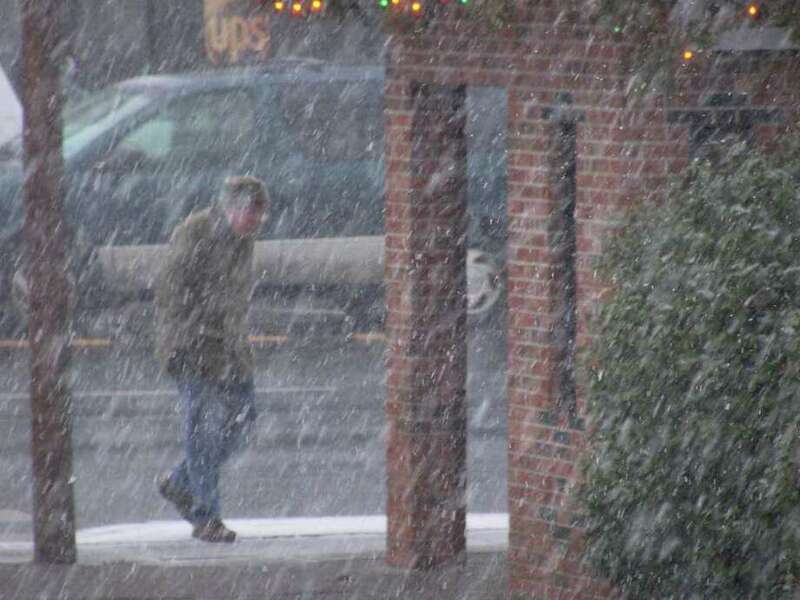 The first snow storm of 2011 hit Friday, with the snow starting to come down heavy around 1 p.m. The Friday storm, which left a fluffy, white blanket 6 to 8 inches deep across southwestern Connecticut, is not the only winter blast in store over the next several days. More light snow is predicted this afternoon, continuing into tonight with accumulations of an additional inch or so, according to the National Weather Service. The farther east in Fairfield County into New Haven County, the heavier the snow, forecasters say. But after a two-day respite Sunday and Monday, more snow -- possibly significant -- is in the forecast for Tuesday and Wednesday. The light snow today is expected to start after 3 p.m. and is likely to continue tonight. The daytime high, under cloudy skies, is expected to be about 35 degrees, falling to the mid-20s tonight. The night will also be buffeted by a blustery north wind between 15 and 22 mph. Tomorrow should be partly sunny, with a high near 35. It will be breezy, with a northwest wind between 20 and 22 mph. Temperatures will fall to about 20 degrees overnight. Monday should also be sunny, with a daytime high temperature in the mid-30s. On Tuesday, snow is likely to start after 3 p.m. and could continue into Wednesday morning. The NWS warns it could be another "significant" winter storm, but also cautions that the track and timing of the storm developing off the East Coast is still uncertain as of Saturday.